Inspired Art from Artists who dare to push the envelope. The Laskey Fine Arts Group is an assemblage of both well established and up and coming artists. They are artists who push the boundaries of their discipline. 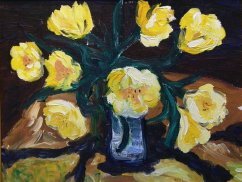 From Painters to Sculptors to Photographers, the Laskey Fine Arts Group represents a variety of styles and techniques and provides a stable, trusted platform from which to collect fine works of art.